Browse our collection of 1 50s T-Shirts and more. Designed and printed in the USA. 100% Satisfaction Guaranteed. 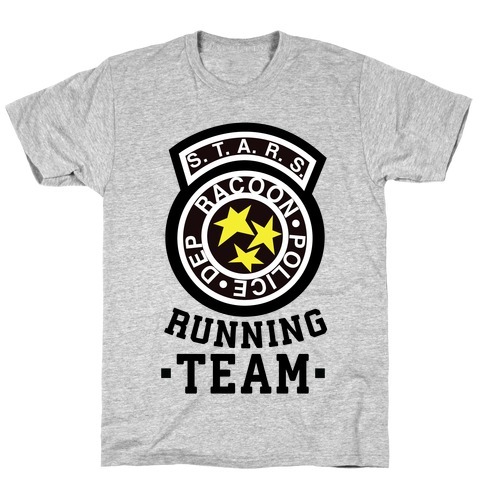 About this Design The Raccoon city police department knows a thing or two about running. Especially when they encounter various monsters like zombies, crazy people, and even have Nemesis on their tails. Better get your stretches in this is gonna be a run for your life! The Raccoon city police department knows a thing or two about running. Especially when they encounter various monsters like zombies, crazy people, and even have Nemesis on their tails. Better get your stretches in this is gonna be a run for your life!